Rabbi Richard Jacobi is the Van der Zyl Head of Vocational Studies at the College. He is currently the rabbi for the community of Woodford Liberal Synagogue, which he has served since 2007. He serves as a governor and spiritual advisor to Clore Tikva Primary School, and is a chaplain for a North-East London Mental Health Trust. He developed and directed a programme for training Liberal Ba’alei Tefillah (Leaders of Prayer) now in its fourth course, training over 60 people. 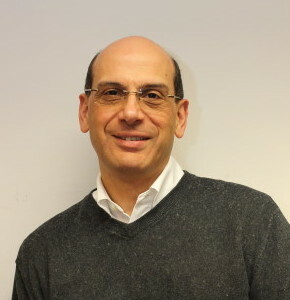 Born into a Liberal rabbinic family, and raised in Southgate and then Wembley, Richard studied Modern History and International Relations at the University of Reading. While there, he began a friendship with the Reading Liberal Jewish Community that is still ongoing. He is Co-Chair of Liberal Judaism’s Rabbinic Conference and, in that role, serves on the Board of National Officers for Liberal Judaism.